The pinhole puncture in the global “Fintech” bubble keeps growing, despite drastic attempts to seal it shut. 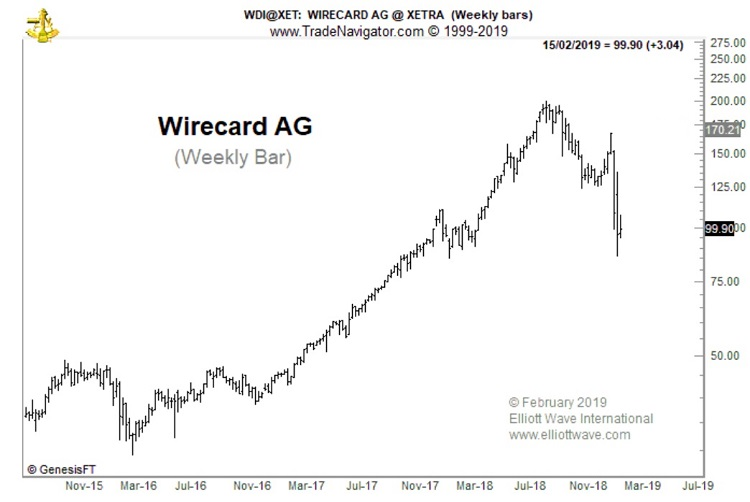 The most recent and radical attempt occurred on February 18, when BaFin, Germany’s financial regulator, issued a temporary short-selling ban in Wirecard after its shares plunged 40% in less than three weeks. Wrote one news source, “Germany bans speculative attacks on Wirecard stock”, as if those shorting the market were wielding pitch forks and lobbing actual threats against the stock’s upside. Still, history shows that the draconian move of banning short selling is hardly effective. Amidst the Livermore debacle, the newly minted U.S. Securities & Exchange Commission made plans to reinstate a century-old short-selling ban, which didn’t go into effect until 1934 — after the U.S. stock market had already lost 89% in value. In 2008, the SEC, acting in concert with the UK Financial Services Authority, prohibited short selling in 799 financial companies to stem the bleeding from the subprime mortgage meltdown. SEC Chairman Christopher Cox gave this assurance of the ban’s efficacy: “The emergency order… will restore equilibrium to markets.” Yet, instead, the global financial sector entered an accelerated and prolonged period of chaos and value destruction. Now, we have BaFin’s attempt to save Fintech by banning short selling in one of the sector’s most iconic companies. BaFin noted the importance of Wirecard to the German market and economy, and heartened: “There was risk of further downward spiral without restrictions on shorting the stock,” echoing Christopher Cox’s confidence in 2008. The strategy won’t work, because short selling isn’t causing the market’s decline; an ongoing negative social mood trend in Europe is. 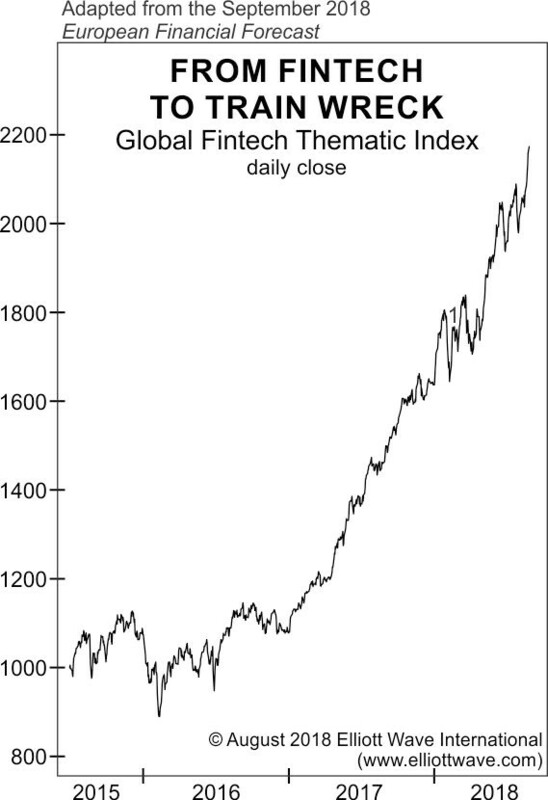 As the most sensitive meter of social mood, Fintech stocks warned of this shift long before there was a sustained downturn. (See other signs of a negative shift in social mood across Europe here. 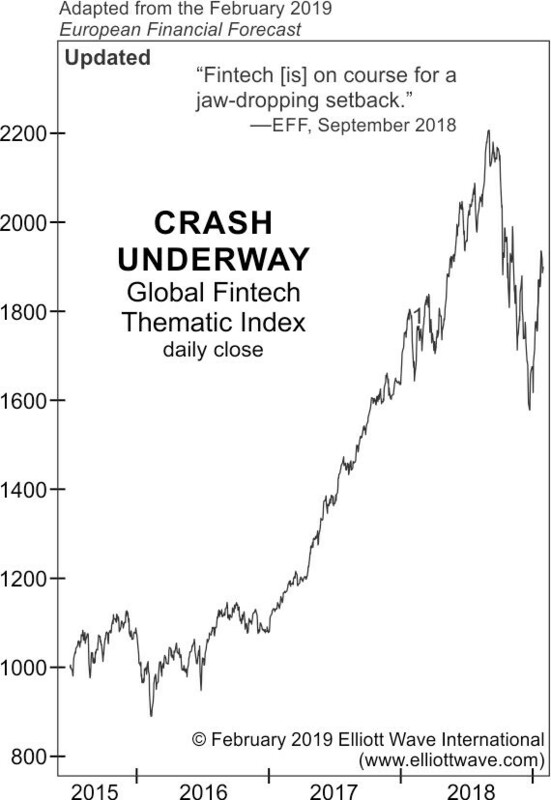 Depicted below is the sudden reversal in Wirecard and the Global fintech Thematic Index that followed, in which the latter’s shares dropped 57%. When there’s hope, and prices are rising, short selling is deemed a necessary part of a balanced system that encourages free will speculation. When that hope turns to fear, short selling is then vilified as the cause of market crashes. We believe many of the components of that shift are well underway in Europe now. Radical politics. Secessionist movements. Crumbling economies. Follow this link to discover more signs of a shift toward negative social mood across Europe.